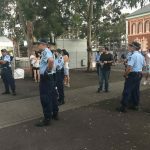 The NSW Police Force (NSWPF) is continuing what can only be described as its assault on festivals. 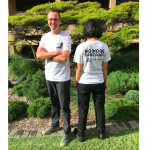 Last Friday, it publicly announced that it was withdrawing its support for and blocking the Bohemian Beatfreaks festival that’s due to be held this coming weekend in the Northern Rivers region. And on top of this, NSW police also issued event organisers Rabbits Eat Lettuce with a close to $200,000 quote for policing services for the festival that’s held at a Kippenduff property, which is around 50 kilometres southwest of Casino. An obviously thinly veiled attempt to bankrupt festival organisers, this quote was issued just two weeks prior to the event’s start date and it follows an earlier quote for $16,000, which was more in line with amounts paid by the company for policing at earlier festivals they’ve held at the site. Indeed, Rabbits Eat Lettuce has run five successful events on the property since they gained development consent from the Richmond Valley Council in 2015. And there hasn’t been any serious incidents at any of the festivals they’ve held there in the past. So, event organisers were a bit gobsmacked when they noticed on the new policing quote that the NSWPF is suggesting that 56 officers should be deployed at the festival on its first evening, this coming Friday. As the maximum capacity for the event is 3,000 people, this means that there would be one officer for every 50-odd festivalgoers. Local police first announced they’d be withdrawing support for Bohemian Beatfreaks at the festival’s pre-event meeting on 26 October. At the time, officers stated that it was in part due to what occurred at Sydney’s Defqon.1 festival in September. Tragically, two young Australians died after taking drugs at Defqon.1. And at this 30,000 person event, saturation policing prevailed. In addition to $90,000 worth of policing the event organisers had paid for, an additional 194 officers were deployed. And, of course, can’t-get-it-right drug detection dogs were also present at Defqon.1. At earlier festivals this year, NSW police began a new policy of barring punters from events if a sniffer dog makes a positive indication, but a subsequent search results in no illicit substances being found. 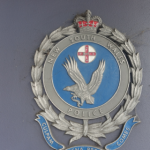 The NSWPF has been cracking down on festivals over a number of years now. It attempted to shut down Psyfari in 2016 and it tried to put a halt to Dragon Dreaming the year before. However, over recent months, there’s been a marked intensification of its targeting of youth events. But, Bohemian Beatfreaks’ organisers aren’t taking this lying down. They’ve launched legal action against the NSW police attempt to shut down their festival. And they’re quite confident that the judge is going to allow it to go ahead. In the end, this event that the police are treating like a challenge to their authority is just about a group of young people getting together to have a good time. Rabbits Eat Lettuce has organised three themed stages with a line-up that includes 20 international artists and a host of local talent. 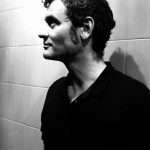 Sydney Criminal Lawyers® spoke with Rabbits Eat Lettuce director Erik Lamir-Pike about what he thinks is behind the move to shut down the festival, how their past events prove that safety is no issue and why he’s confident that this Friday Bohemian Beatfreaks will take place as scheduled. Firstly, Erik, your company Rabbits Eat Lettuce has already held five events at the Kippenduff site. Correct. We’ve held five events at this Kippenduff venue in the last three years under our development consent. But, NSW police are now trying to close down your next festival citing safety concerns. In your opinion, why are the police trying to shut it down? What’s behind these moves? It could be political regarding the recent deaths at the Defqon event in Sydney. It could also be a new superintendent coming to town wanting to make a name for himself. It’s hard to really know. The list of “safety issues” that they’ve been rattling off are so minor, insignificant and non-existent that none of them would warrant shutting an event down. So, there’s got to be some other motive there. Our event has such an impeccable track record with health and safety. In the last five events that we’ve had at this venue, we’ve only had three ambulance transfers, all of which were not for drug overdoses or alcohol. There was an ankle injury. There was a cut foot from some broken glass. And then there was a diabetic issue. And that was it. So, they’re trying to say all there’s safety issues. But, our event history just doesn’t show that. 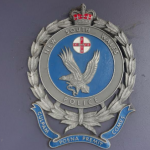 NSW police has issued a list of safety concerns that includes restricted vehicle access, poor communications coverage and the remoteness of the event. So, you assert that the safety issues that they’ve raised are not a concern? They’re trying to hold our event to a different standard of every other event in the state. They’re requesting that we do 2.1 metre high chain link fencing around the perimeter of a festival in a rural setting that’s 55 kilometres from town. There’s no need for perimeter fencing. In fact, it’s a safety hazard because it traps people in the festival. In the event of a fire, they have a hard time escaping. And they’ve raised issues around drugs? Do they have any reason to be? Drug use has occurred at events in the past. They have detected drugs in vehicles in searches on the way in. But, it’s no different to any other festival in the state. It’s no different in numbers. If you go anywhere in society, you are going to find drugs. 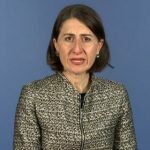 If you go into prison in NSW, you can find drugs. So, if you can get drugs in prison, how are you going to stop drugs getting into a music festival. The best thing we can do is try to prevent and deter people from taking drugs and bringing them into the event. And once in the event, provide a harm minimisation strategy to ensure that measures are in place to cater for that – to cater for any dramas that occur. We’ve got medical facilities adequately staffed. We’ve got emergency management on site. And we’ve got amazing security guards. We’ve got everything in place. We’ve spent over $130,000 at each event just on emergency management. This will be the sixth festival you’ve held at the site. What sort of safety provisions have you had in the past? We’ve got a fully staffed medical facility with paramedics and nurses. We’ve got our own private firefighters on site with two private fire trucks. We’ve got 25 security guards with event vehicles, four-wheel drive buggies and motorbikes. We’ve got harm reduction organisations like DanceWize and another one called Sanctuary that offer a chill out space with tea and coffee and fruit. We’ve got alcohol and drug counselling. We have rovers moving around the event area looking for someone who might need water or who’s in trouble. We also have a dedicated emergency manager that dispatches all of our event resources relating to incidents, which is kind of run the same way as a triple 0 hotline is run: all the calls are logged, all the incidents are recorded. Matthew Wood from Ranwood Solutions runs emergency management at most festivals. And he’s second to none. So, I can go to sleep at night at the festival and know everything’s going to be smooth, regardless of what occurs. You’re currently challenging the police shutdown in the NSW Land and Environment Court. How are the proceedings going? They’re going pretty good. It’s looking like the judge is going to rule that the event can proceed with some conditions. That’s what we are dealing with now: negotiating on conditions. So, we’re just kind of hoping that we can get some conditions that are workable. And we’re hoping that the police don’t try and squeeze us with a hefty user-pay police bill. Because it looks like that’s their next strategy. That leads me to my next question. On top of trying to close you down, two weeks prior to the event the police issued you with a quote of close to $200,000 for policing the event. The original quote was $16,000. Yes. The original quote was for over $16,000, just under $17,000. The new quote was about $200,000. And it included 59 police officers rostered on during the Friday at once, which is just insanity. Looking at the quote, it was pretty clear that they just threw some big numbers together and it wasn’t really thought out at all. It was a bit shocking to see. Are they still expecting you to pay this? It seems that the judge will be making a ruling on that. So, I’m hoping he’s operating within logic and sees that for the last five events we’ve had the same user-pay police resources on site. This has been two police officers during the day, and four officers during the night. And that’s been more than sufficient for the last five events. We’ve had a couple of issues here and there. But, for the most part, they’re just walking around talking to people. And the user-pay police that have attended in the past have been really good. They’ve been approachable. They’ve worked within our event structure. And they’ve been really positive. But, they haven’t had problems. They haven’t had issues. So, there’s no justification for increasing our user-pay police resources. So, they were suggesting that on the Friday, there’s going to be 59 police officers at the festival at once? That’s what was in the proposed quote that we were sent. And that’s for an event that holds 3,000 people. So, that sounds like some saturation policing. Yeah. I live in a town with 4,000 people down in Bellingen and we’re lucky to have two police officers rostered on at any one time. I’d be interested to see what town in Australia has 59 cops rostered on at any one time. 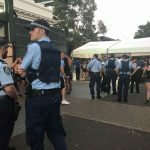 In your opinion, is this attempt to shut your event down part of a broader approach NSW police are taking to festivals these days? I believe so. I believe maybe we’re just the target at this point in time. But, I believe it’s kind of a sweeping strategy – a sweeping approach – partly due to the war on drugs. But, I’m not really sure of their motivation. Our festivals create a positive change and effect in society. People come to our events and connect with each other up and down the coast. They leave our festivals feeling rejuvenated and inspired. They’re ready to go back to life and bring some good energy with them. And lastly, Erik, what’s next from here? Are you expecting Bohemian Beatfreaks will go ahead this weekend? Yeah, we’re pretty confident that common sense will prevail. And justice will prevail. I’d be even more disheartened at the state of the country if we were to lose in court. I’d probably lose all faith. Rabbits Eat Lettuce are facing legal costs in excess of $100,000 due to the last-minute NSW police action to block the upcoming Bohemain Beatfreaks festival. If you would like to assist with their legal fees you can do so here.